Happy Wednesday everyone! Canyon believe that April is this close? I'm definitely ready to say good bye to March and welcome in the spring and sunshine! If you've been in stores lately then you'll know some of the reasons why. I'm loving the really wide range of looks and styles I've been seeing for the new season. Everything from wide leg denim to neon brights to pretty boho styles is all out there for the taking. Whatever your preference, you can find it this spring. 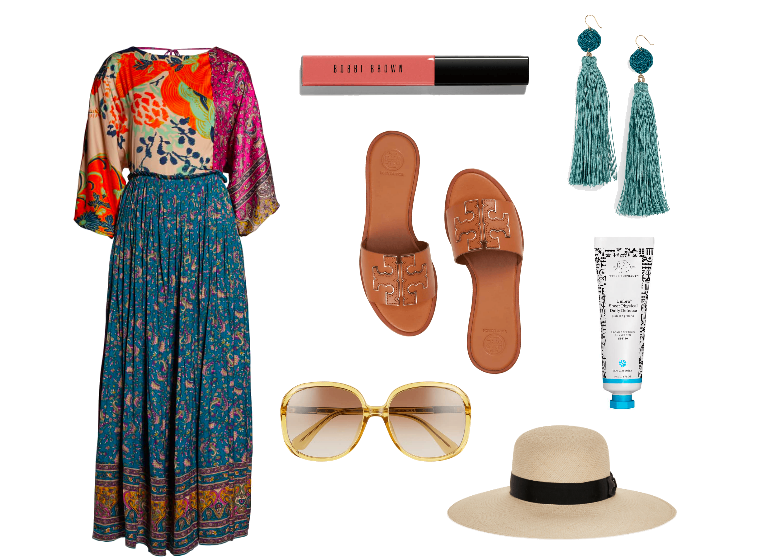 Today I put together a cute little Boho look that is easy to pair and even easier to wear. I've said it before but it definitely bears repeating...I love the dress. It is the one and done item every girl absolutely neeeeeeds. What's better than something that you put on and that's it, you're done!? Probably nothing, haha. This one from Free People is on my radar. I love it right now with a denim jacket and ankle boots and with these sandals and some sunscreen come warmer days. Everything's better with a straw hat and this one is so cute. Finishing touches like this necklace and these earrings pull everything together so pretty. Ready, set, casual date...now go grab your guy! Wishing everyone a wonderful Wednesday!